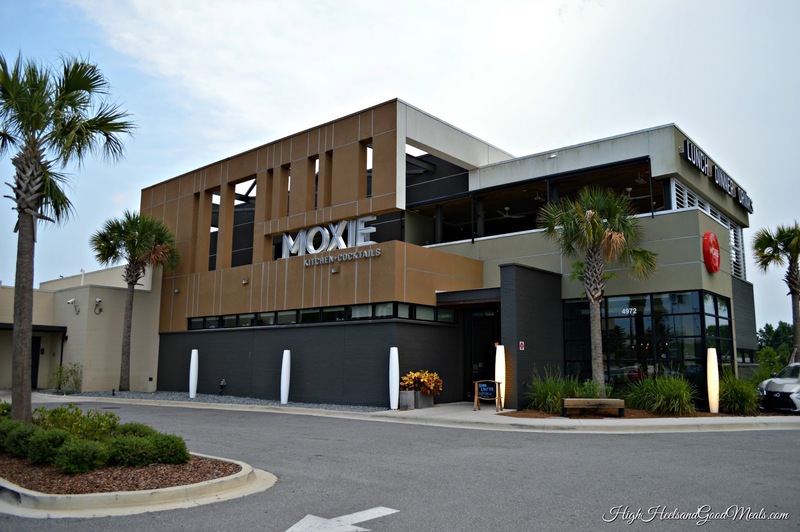 I attended an awesome event at Moxie Kitchen and Cocktails earlier this week with some of my favorite foodie peeps and a few new faces from around the blogosphere. The event was hosted by Litehouse Foods Inc., a company whose products you may have seen in your local grocery stores. They offer a wide variety of salad dressings, fruit dips, glazes, herbs, veggie dips, and artisan cheese crumbles. 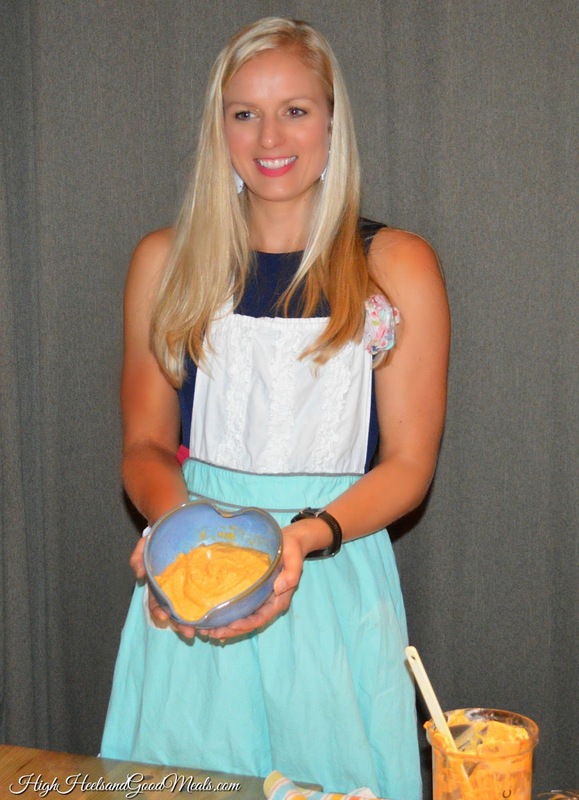 During the event we were able to watch a live cooking demo featuring some of the Litehouse Foods dressings, get helpful eating tips from a registered dietician, and of course, indulge in some of the amazing dishes Moxie has to offer! 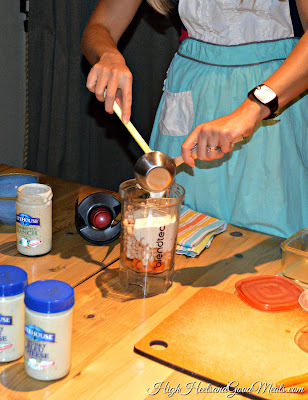 As I mentioned before, we were able to watch a live demo given by registered dietician, Jenna Braddock. 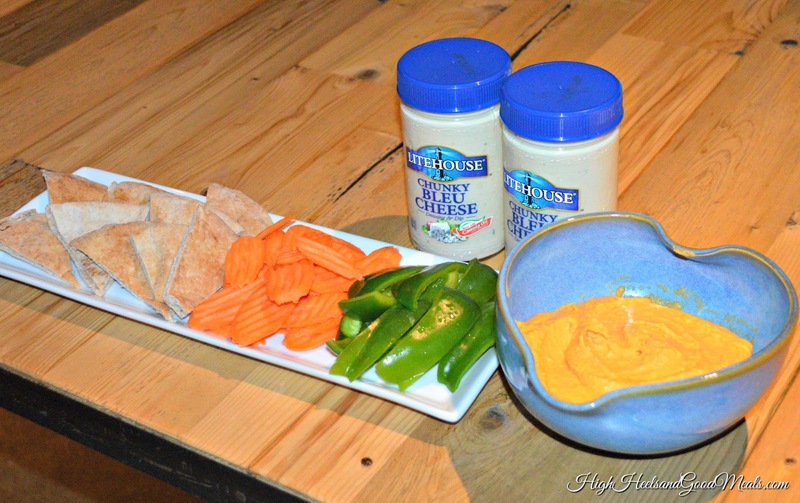 As a mother who tries to incorporate veggies into meals for picky little eaters, she made a Roasted Carrot and Ranch Hummus featuring the Litehouse Homestyle Ranch dressing. She added a little extra virgin olive oil, fresh chopped roasted carrots, and my favorite, white beans (opposed to the traditional chick peas), blended everything up nicely and voila! It was a delicious hummus that’s not only good but good for you! I love hummus so I will be trying this recipe out at home for sure! We enjoyed it with carrot slices, green peppers, and pita bread and it was delicious! 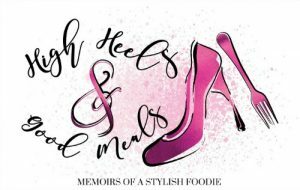 The rest of the evening was spent getting to know more about each other and each other’s blogs, eating habits, and best practices for maintaining healthy lifestyles, especially as food bloggers. It was very enlightening and I learned some tips that will certainly help curtail those urges to snack throughout the day. Jenna did, however, remind us that there’s nothing wrong with enjoying the things you love to eat. With anything, moderation is best! With that being said dinner was served! It was family style and we passed dishes around the table! I could not have been happier to start the meal off with these! They were super cute and bite-sized with a BBQ butter that was to die for! I seriously could have ate all of them and been satisfied the rest of the evening! 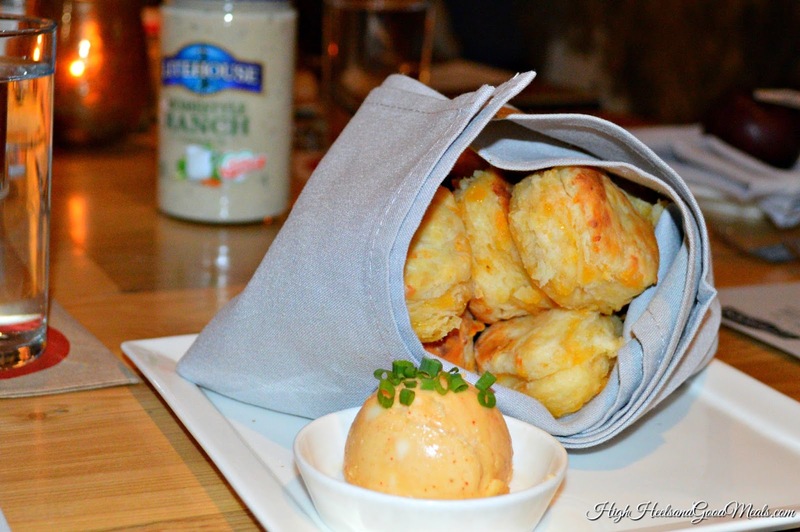 Served with charred lemon and a creole dipping sauce. 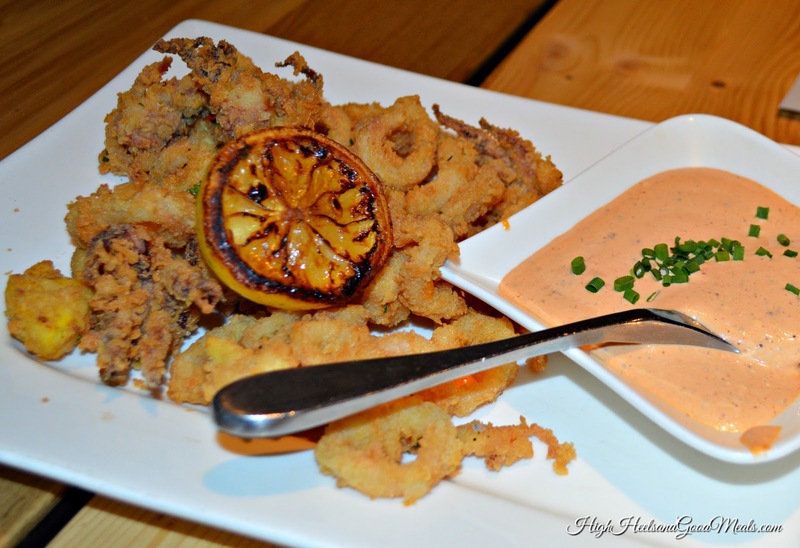 The calamari was cooked perfectly and the sauce had amazing flavor! Made with Farm bread, potato chips, and pepper jelly. All of these flavors mesh together nicely. 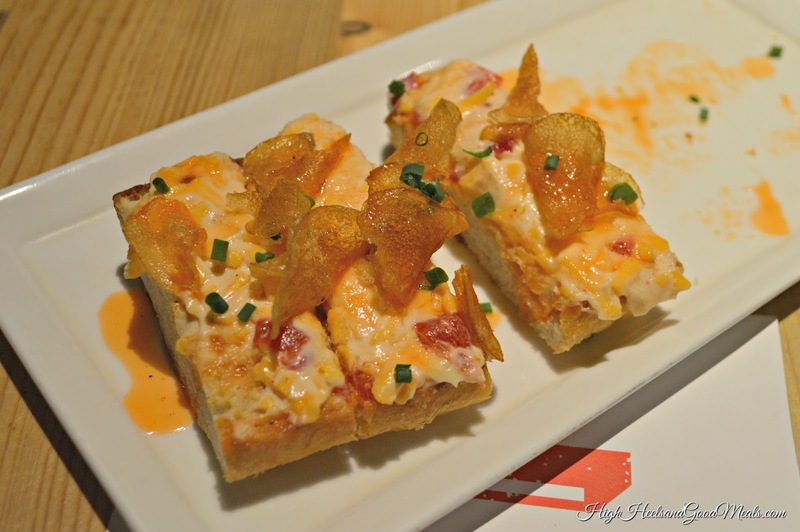 I loved the potato chips on top. They added a nice crunch! 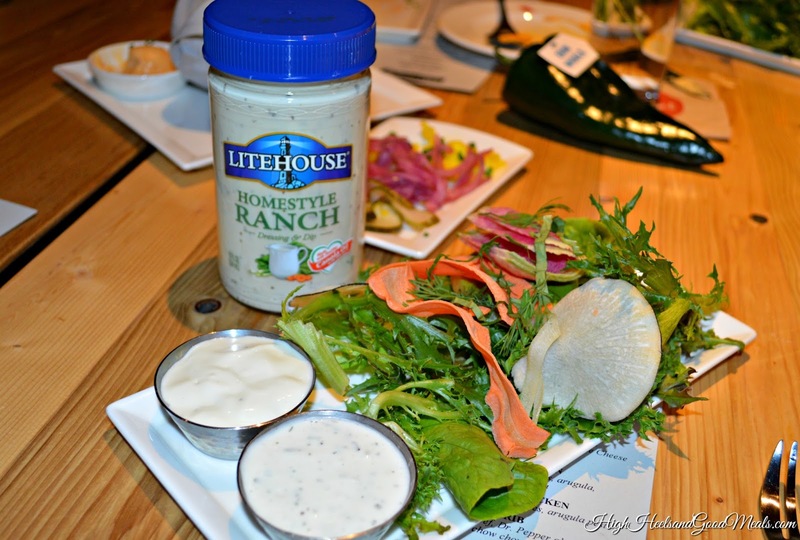 These salads were beautiful with leafy greens, shaved farm veggies, and of course, LiteHouse Homestyle Ranch & Chunky Blue Cheese dressings! 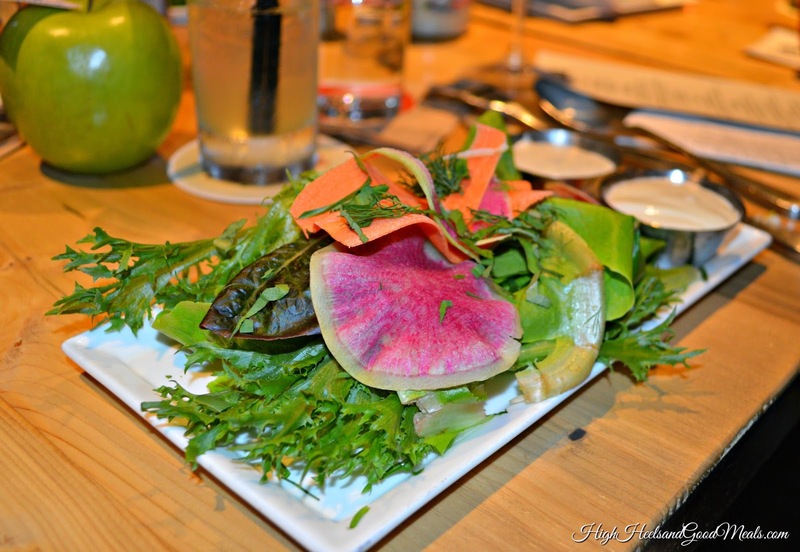 I had to feature the watermelon radish on this salad because it is an absolutely beautiful veggie! We had a few sides to go along with our entrees including some of my favorites! 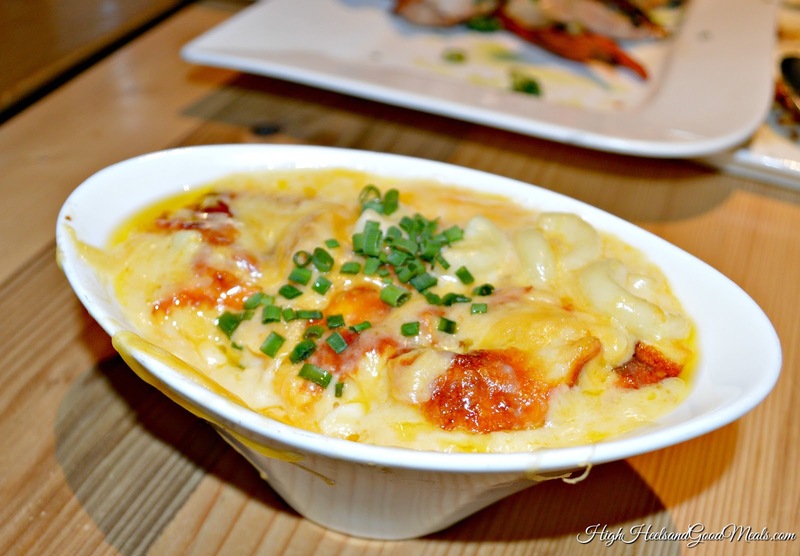 It was nice and gooey like any Mac n cheese should be! With smoked almond salsa. 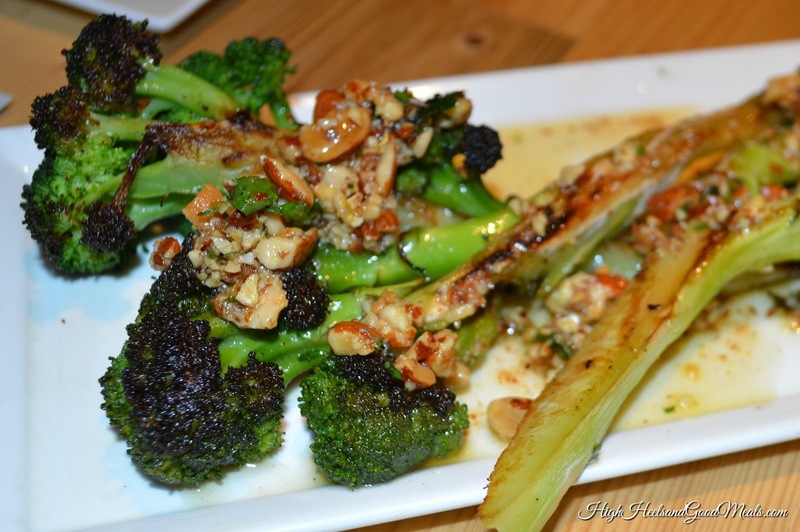 I love broccoli and I love almonds so this was truly a match made in heaven! 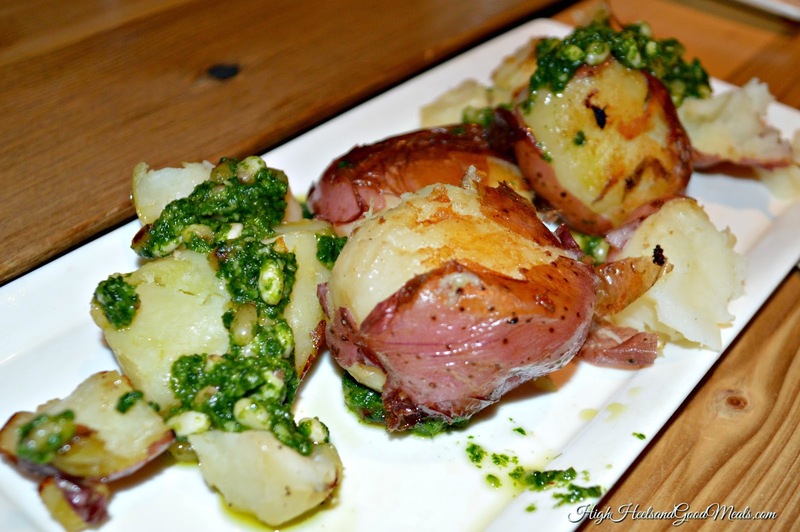 I loved the chimichurri because it had nice flavor, however, the potatoes needed a little more seasoning. 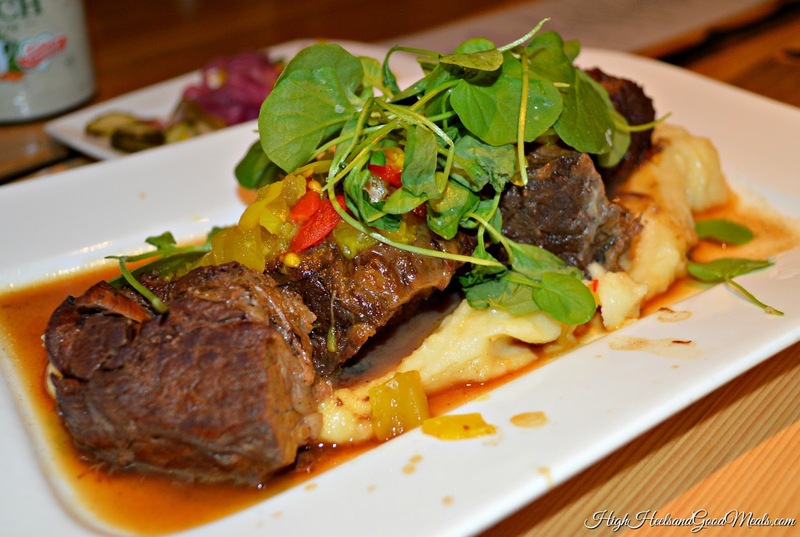 Made with Seminole Pride beef, Dr. Pepper Glaze, “redneck risotto” (mashed potatoes), chow chow, and upland cress. It was pretty good with a nice flavor profile! up a chicken dish. This was no different! It was chicken and it was good! This was my favorite dish of the evening! 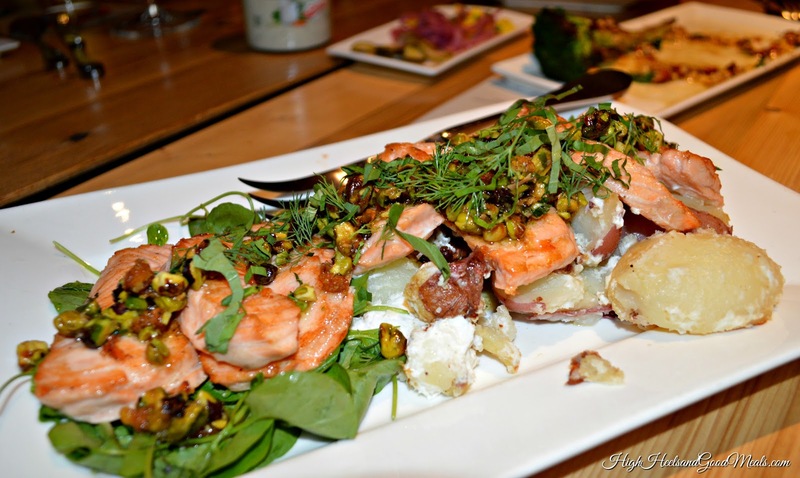 It came with goat cheese-smashed potatoes, arugula, and a pistachio gremolata. It was delicious with just the right amount of flavoring! Last but certainly not least we all know and understand that no meal is complete with out dessert and this one was definitely worth the wait! 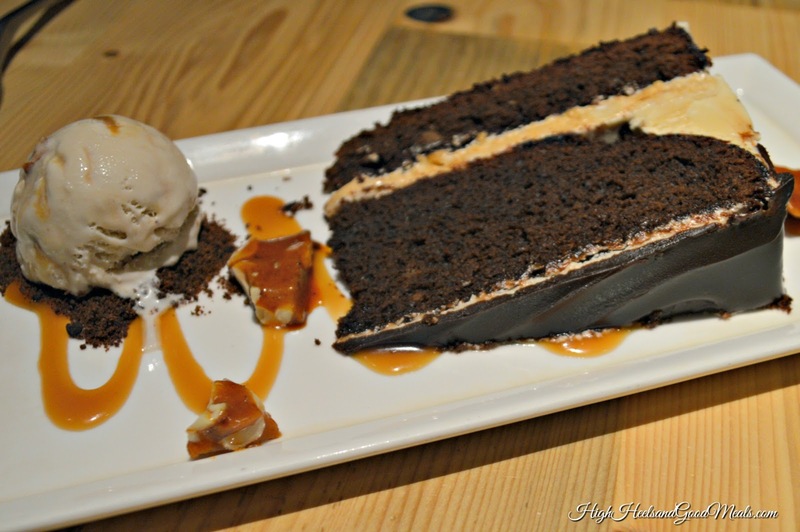 Chocolate Cake, peanut nougat, caramel buttercream, and the star, salted caramel ice cream!!! The entire evening was a great time! 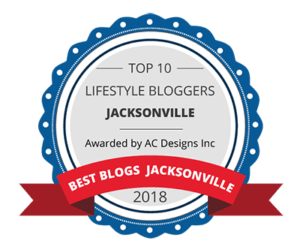 I love it when I get to meet other bloggers! 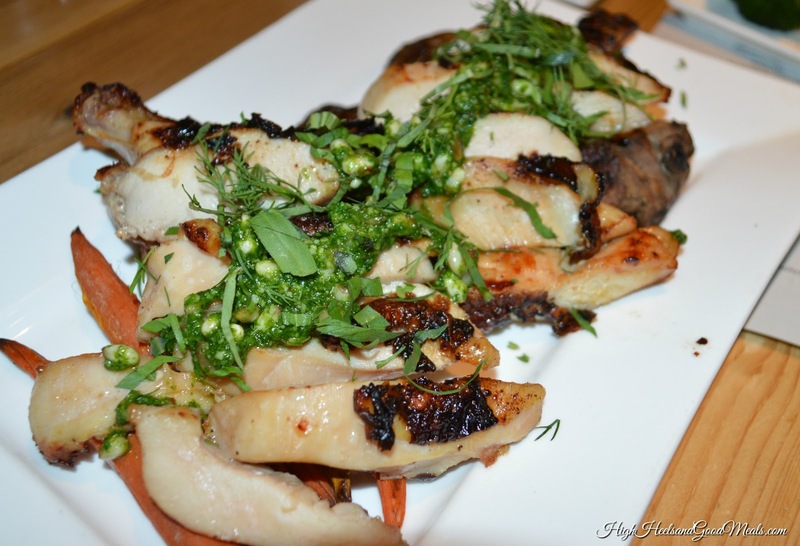 The food was great and I loved the pointers for healthier eating. Next time you’re in Publix or your local grocery store, grab a Litehouse food product! You’ll really enjoy it! As always, thanks so much for stopping by!! !